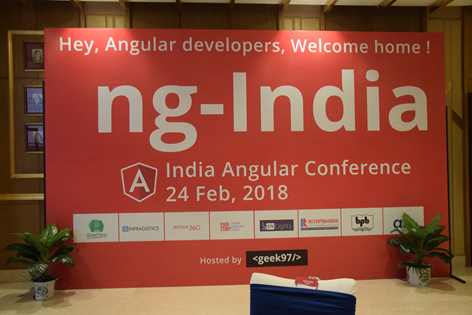 It has been two weeks of ng-India, India Angular Conference, however, the aura is still fresh in our mind. It was a great ‘one day of learning’ for all of us from the experts all around India. There were 10 talks in ng-India. All the talks were deep dive and well taken by the audiences. Video recording of the talks will be available by later this week. However, in mean time, you can see conference photos by clicking here. We will publish GitHub repo for these articles soon and share with you for the reference. For other talks, the videos are being edited and we will share them as soon they’re available. Thank you once again for your support in making ng-India successful :-) We look forward to engaging more with you in the future. We value every single feedback (and complaints too ;-)); feel free to share them at hello@geek97.com and we’re all ears!